It’s a series of unanswerable questions that tease at you. If only you payed closer attention, if only you had explored that room fully. 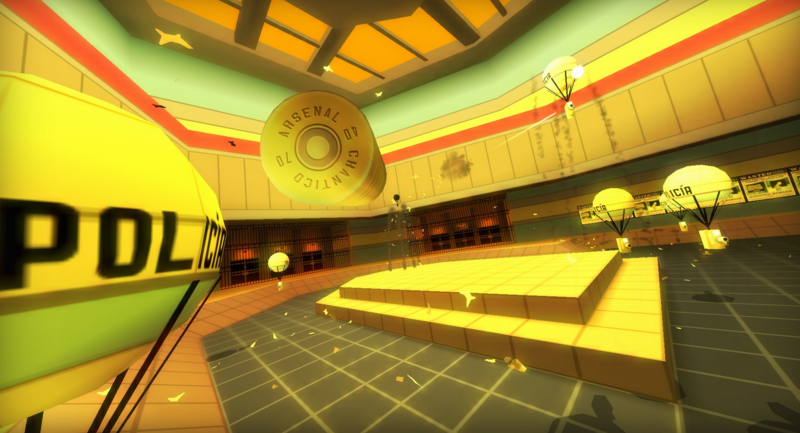 The game takes a mere 20-ish minutes to play through, but it lingers in your mind for much longer. There’s a perfect balance in this game between giving you enough hints to keep you interested and leaving out so much information that it’s frustrating. Who was that man who answered the door across the hall from your room? Who is the woman standing outside the reception? Did I see her for a second later on? 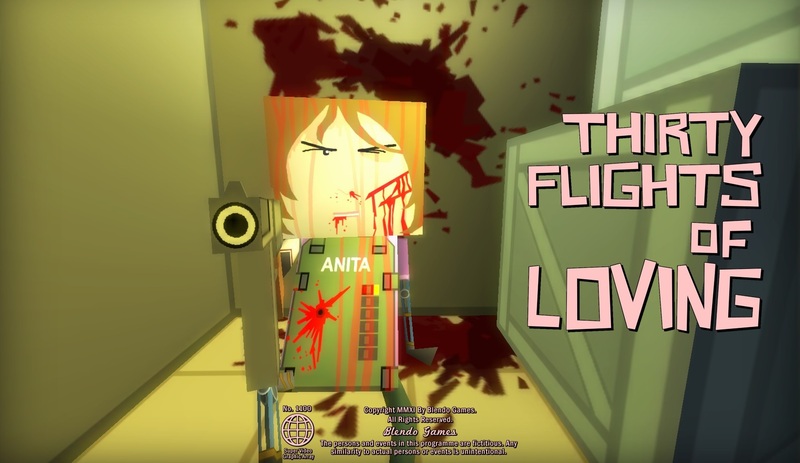 Why does Anita wish to kill you? What happened at the Airport? Who betrayed who? Who is the “little cilantro friend” mentioned in the credits? What does the Bernoulli principle have to do with anything? 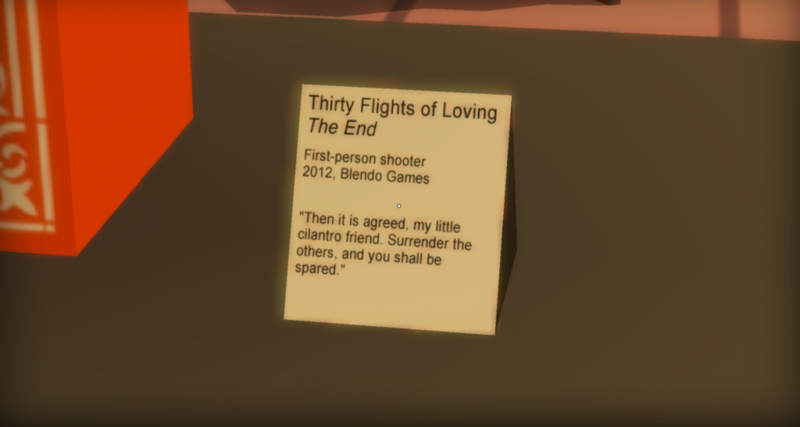 Why is this game called “Thirty Flights of Loving”, and why does the title flash before us again at the end? I’m going to now make a decision that Brendan Chung has also made about this game. Yes, I have theories about what went on in that airport, about why Anita wants to kill you, but I’m not going to share them. The game’s value lies not with the answers to these questions, but with the questions themselves. There exists video online of early builds of TFoL that feature dialogue. If you become as enamored with this game as me, you can find it here, but I beg you to come to your own conclusions before watching, as the answers are not concrete – or else they would be in the final game. 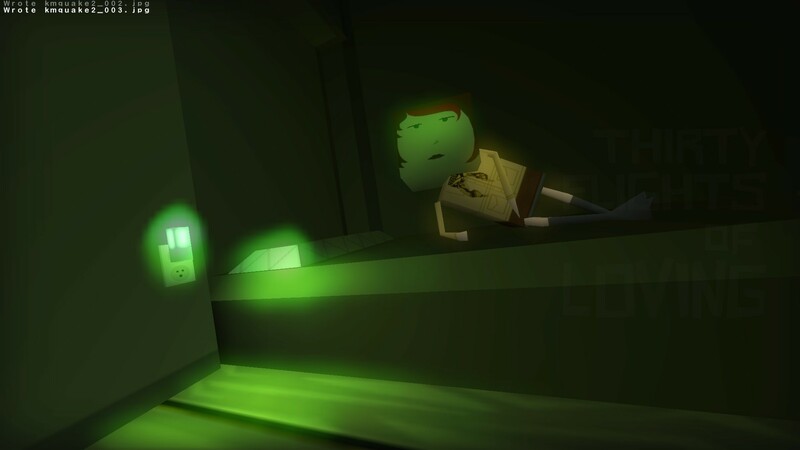 But this footage tells me that TFoL started not as a storytelling exercise, but an attempt to show that cinematic techniques – jump cuts, time dilation, moving around a timeline, and using audio to establish setting ahead of the visual – could work with video games. Chung achieved this, but he also showed a brilliant novella. A vertical slice of a story with heartbreak, betrayal, and danger. Lindsay Allison liked this on Facebook. Kyle Harrison liked this on Facebook. Reggie Smith liked this on Facebook. This game had, at inception, and now, upon reevaluation, inspired my vision of what a short film should be.